The company is likely to ship about 6 to 8 million updated Pros in that period, said Rosenblatt Securities' Jun Zhang. The company is expected to update its 10.5- and 12.9-inch Pros with front-facing TrueDepth cameras, enabling Face ID, animoji, and other 3D-sensing technologies. International regulatory filings recently indicated that Apple is preparing to sell two new iPad models in the near future. In fact Zhang's projected ship window may be too far out if the company already has legal approvals. It's difficult to say for certain when Apple will ship, however. 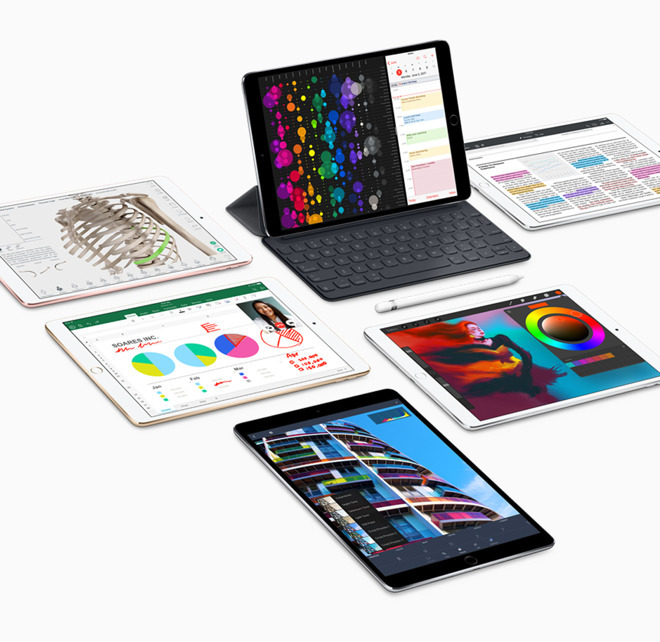 The first 12.9-inch iPad Pro arrived in November 2015, followed by the 9.7-inch model in March 2016. Both second-generation Pros debuted in June last year. Third-gen tablets could sport eight-core "A11X" processors, stepping up from the six-core A11 chips in the iPhone 8, 8 Plus, and X. Switching to Face ID may also let Apple reduce weight and bezels even further, though Apple is unlikely to use edge-to-edge OLED screens like the one on the iPhone X, given the cost and difficulty of scaling to the size of an iPad.